Welcome to the Caterers and Traders page. Below is all the information you need to know about trading at Greenbelt. 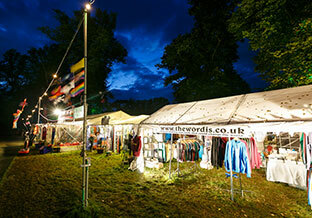 • Smaller independent traders / artists / makers or craft traders… something different and inspiring. • Interesting, delicious and great value for money ‘handheld’ food. • Caterers and traders working from a cool or quirky van. 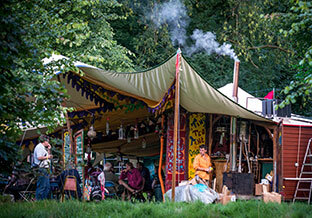 Please complete this brief form letting us know what you do, and how you fit in with Greenbelt’s ethos. 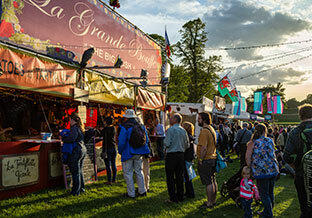 Please make sure you read the terms and conditions and food hygiene requirements carefully, they form a binding contract between yourself (ie the caterer or trader) and Greenbelt Festivals. All applications must be completed in full and the relevant documentation must be supplied. 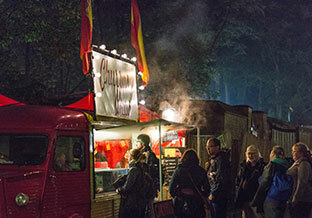 Catering Pitch: Catering pitches are for anyone selling food and drink during the festival. You bid for the amount you are prepared to pay to trade at the festival and we assess the quality of your bid, unit and menu. Trade Stand: Trade stands are commercial sellers of non-food products. Space is sold by the metre frontage (minimum 4m) with a standard depth of 8m. Market Stall Space: Market Stall Spaces are available for non-commercial individuals selling products that they have made themselves (eg crafts). The pitch is a 3m x 3m area of grass with no cover or other facilities supplied. You will need to bring your own stall. Once the application process is complete, we spend a great deal of time strategically placing traders and caterers. We always try to give a good and balanced offering, creating a wide variety of options for Festival-goers and good turnover for all traders and caterers. Where it is reasonable to do so, we try to have only one company selling a specific type of food or product. 1,000 volunteers make Greenbelt happen. Each of them, along with contractors, staff and performers are provided with an allocation of meal vouchers (£5 per day) with which they can purchase food from across the site. Caterers are encouraged to take advantage of this additional source of income by offering meal voucher deals. This year we will be compiling meal voucher deals into a leaflet which will be distributed to staff, volunteers and performers along with their meal vouchers. Vouchers can be returned at the festival at designated times, exact timings to be confirmed later in the year. Please note that vouchers redeemed on Tuesday will not be reimbursed until after the festival. In addition vouchers can be returned to the Greenbelt Office at the following address no later than 14 days after the Festival. Caterers who send in Meal Vouchers by this date will be reimbursed no later than 1st November. Vouchers received after this date will not be reimbursed. One of the biggest concerns raised in feedback from Festival-goers is the price of food- only 56% of our Festival-goers are in employment and 40% of those earn under £20k per annum. In response to these concerns this year we are asking caterers to highlight in the application process their best value offering (available to the public- ie not a Meal Voucher deal). This need-not be the cheapest thing you sell, it could be particularly high quality or a large portion size. These offerings will be advertised to the general public at information points around the site over the course of the Festival. As part of your application you will be asked to highlight which special diets you can cater for. This information will be displayed alongside your best value offering at information points across the site. If you are unable to send any of these you must clearly state why as in most instances you will not be able to trade without providing this documentation.